Creating User Centric Design involves the unique imagination capabilities of the designer which is to analyze and foresee the behavior of end users, before and during the various stages of development process. To make the user friendly product interface, which is the ultimate in creating these designs, real world tests are done for validation of assumptions made. Also the corrections and changes are done on continuous basis at every step. As the name suggests, User Centric Products focus on the behavior and expectation of the end user and that determines the design process. In view of fact that User Centric Design creation is a long design & development process, it is not appropriate to opt this for designing each and every site. Only sites which directly focus on the end customer are preferred candidates for implementation of this design & development process. At Design club india, our expert team possesses a different skill set and has developed an elaborated system/process for making a perfect UCD and timely delivery thereof. In the business world the main focus is on generating profits for any entrepreneur and branding is considered as the most important objective next to this. In modern world where massive competition is there in every business, one has to work on the strategies to stand out amid competitors and show your strong identity/presence. At Design club india, we provide you with innovative branding solutions beyond designing and graphics which of course are key elements for the audience. Flash Web Designing is preferred in view of the features which are created for attracting people's attention and as a result make them stick around website for a little longer time. Flash web Designing serves this purpose only if a proper balance is maintained between fancy and catchy features and technical implications. There is no use of an eye catching site that does not work properly or loads slowly. 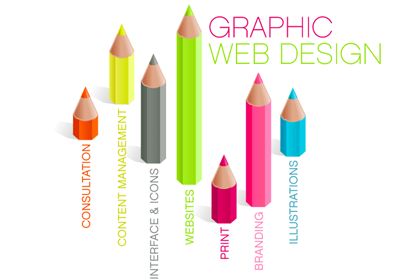 At Design club india, we are well experienced people who will never compromise on key features of site and at the same time make it very attractive and catchy. Flash web Designing can be used in various ways depending upon the contents and business like virtual tour of flats can be created for a Real Estate Company or a firm of Architects for showing designs. Creative, articulate and eloquent banner designing Banner, the topmost portion on your website captures most of the audience. So you can never take any risks with it. Sub standard and mediocre banners might come for a minimal price but they also have a minimal effect on the viewers. Get high in quality yet low in price banners from us for that lasting effect from your website on everyone who views it.